Animals have always been a part of my life, even before I took my first breath. Carrying me to full term was a difficult pregnancy for my mom, but it was her two Yorkies, Kirsch and Butch, who laid by her side and comforted her during the nine months that she was bed ridden. They could sense when my mom was in pain, and licked her face until the moment passed. They could feel when the baby was moving, and repositioned themselves next to her belly until the stirring soothed. And although they couldn't speak English, their message was loud and clear, they were there to protect the family using their senses to guide the way. It's uncanny how in tune pets become to the needs of their owners. We don't even have to say a word and they seem to instinctively read our minds, which is one of the many reasons why the bond between human and animals is so strong and the impact they have on our souls is so profound. They are born with the eagerness to please us, willingness to sacrifice their lives to protect our own, and are baffled with the notion of disloyalty. They are our guardian angels -- with or without the wings -- asking only for our endless love and affection in return. Sometimes I wonder if I am doing enough. My German Shepard, McKayla, gives so much of herself to me, never complaining, nor asking for more, but it is my duty as her caretaker to learn to speak her language and do everything I can to ensure that her wellbeing and quality of life are the best that I can provide. On a basic level, this means making sure that her nutritional needs, daily mental and physical exercise quota, and yearly checkups are met. But furthermore I am responsible for researching the inherent problems associated with her breed and taking the necessary preventative measures to reduce their potential occurrence. German Shepherds are known to develop Hip Dysplasia, but how does that condition evolve, and what sort of monitoring and treatments are needed? 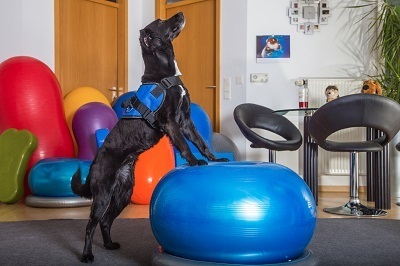 In my opinion, when it comes to complementary and alternative medical treatments (CAM) for animals, physiotherapy is considered the underdog - powerful in performance yet highly under recognized. When people are experiencing back or neck pain, it is natural to think of a chiropractor. When our pets are experiencing pain, however, chiropractic does not necessarily come to mind. Perhaps it should. Dr. Scott Oliver has had an established chiropractic practice in Luxembourg for over 11 years. 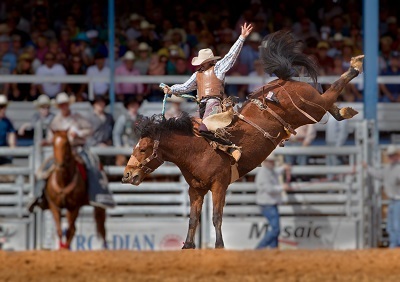 He first obtained his Bachelor of Kinesiology from the University of Calgary prior to completing his Doctor of Chiropractic in Washington D.C. His desire to expand his practice to include the treatment of animals came while working as an Exercise Physiologist in Calgary when a fellow chiropractor told him about his treatments for horses on the rodeo circuit. Coincidentally, not long after that, a friend of Scott's horse was having problems, and Scott agreed to try and treat him. The treatments proved to be beneficial and the horse's mobility functions returned to normal. This one encounter was enough to inspire Scott to return to school and train to become certified in veterinary chiropractic. He attended the International Academy of Veterinary Chiropractic in Sittensen, Germany, and since then has been slowly building up his animal clientele. "I analysis the whole body to locate and correct shifts or deviations from normal neuro-structural function." Most frequently, the types of problems he encounters are hip and pelvic issues in retrievers, lumbars in bulldogs, and horses that need to compensate for the movement of the riders on their backs. In the latter case he take his portable table with him to the stable to adjust the rider in addition to treating the horse. And depending on the severity and age of the problem, it can take anywhere from 1 to 3 visits, lasting around 15 to 30 minutes each, to see an improvement, but it's usually more surprising how quickly changes can begin to occur. "What I'm doing is looking for very specific neuro-structural shifts and correcting those. The results can be quite astounding but treatment is always based on what is found in the examination. Sometimes less work or adjustments get the most profound effects and sometimes more work is required. It's sometimes a hard concept for people to understand, I do what is required- nothing more, nothing less. "In a severe problem where the animal is enduring a lot of pain and/or lame, I may want to see an animal just a few days later. However, the majority of animals with severe cases would need only 1 time per week for 2 to 3 weeks. Still, most cases do quite well with only once every two weeks and can decrease frequency of treatment quite quickly." "Usually the animal intuitively knows that you're trying to help them and they are quite cooperative. Occasionally, if there's an uncooperative situation, I think your own state of mind becomes very important. Remaining calm and focused, and oddly enough, asking the animal nicely to let you do what you're trying to achieve always helps."